Unit 12A is located on Luzerne Drive. 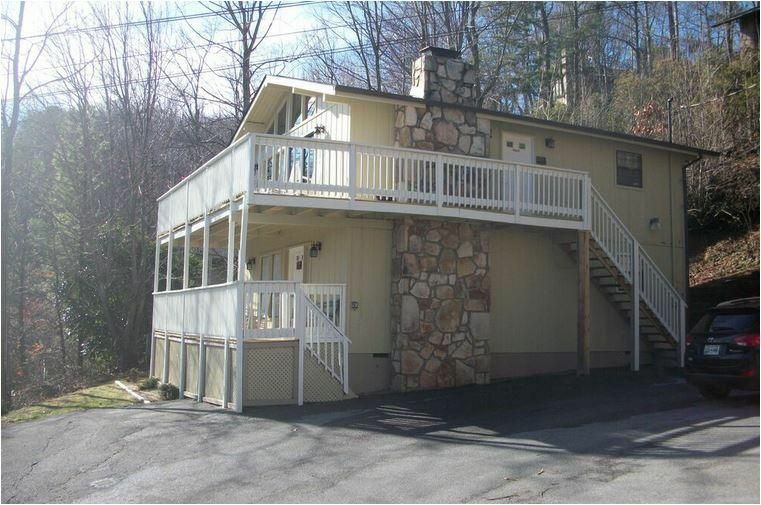 It is approximately 2.5 miles from downtown Gatlinburg and 10 miles from Pigeon Forge. It is the top floor of a two story building. Parking is flat with space for 1-2 vehicles. This unit has a nice mountain view. There are 20 exterior steps and no interior steps. Unit 12A has a sizeable deck on the front. It is equipped with a gas grill and table for alfresco dining. The second bedroom is located just off the living room area and features a queen-size bed.